Combine all the ingredients and pour batter in baking dish. Bake in Pre - Heated oven at 180 c for 20 - 25 minutes. 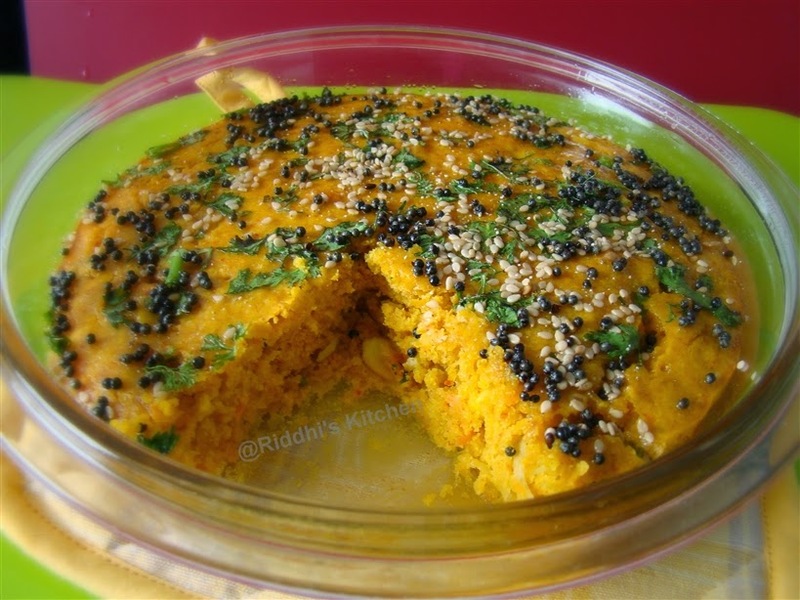 Heat oil in kadai, add mustard seeds and sesame seeds, pour this tempering into baking dish. sprinkle fresh coriander leaves. let it cool, cut it and serve it.